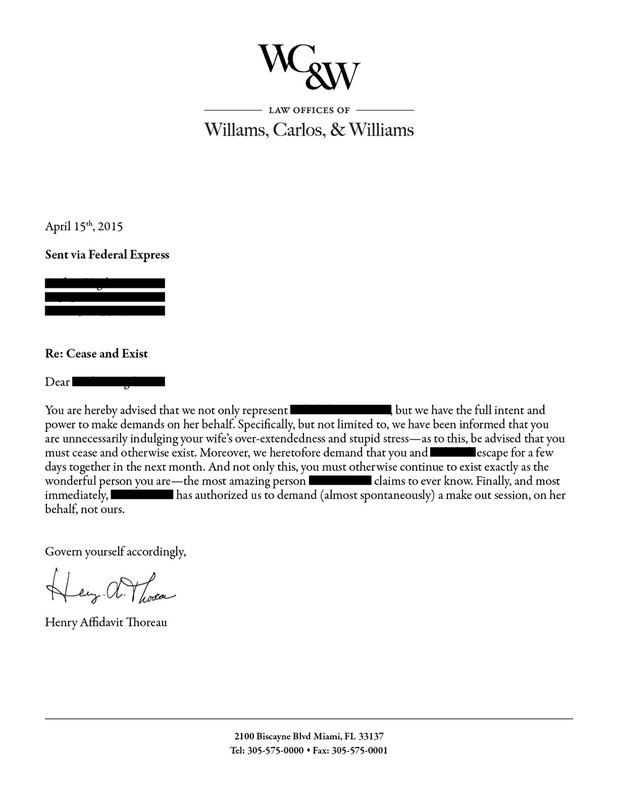 So-called “Cease and Desist” letters are sent by lawyers to people in order to stop them from pursuing a particular action ("cease") and to warn them of the potential consequences of continuing that action ("desist"). 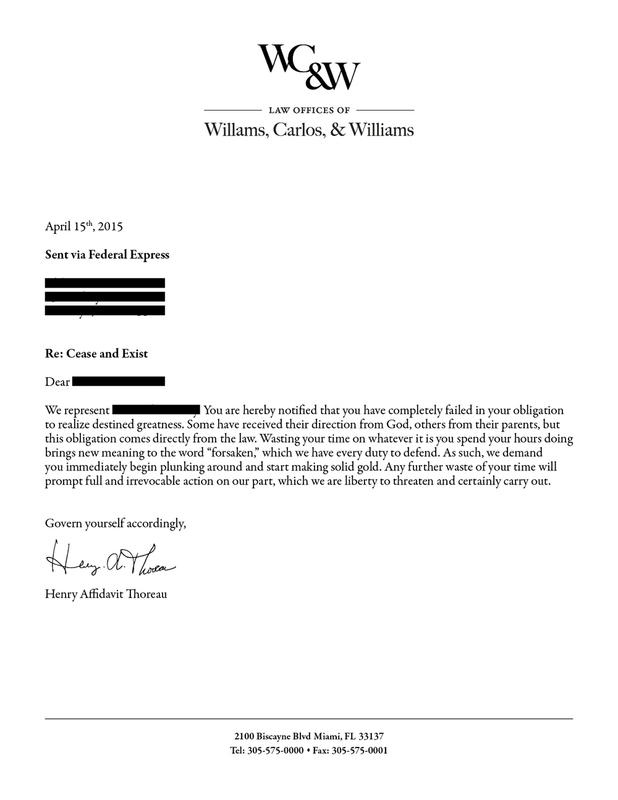 O, Miami partnered with attorney/poet Quinn Smith to create “Cease and Exist,” a project that sends “cease and exist” letters from the The Law Firm of William, Carlos & Williams to various individuals in order to curb behavior that could potentially lead to poetic unproductivity and/or an unfulfilling existence. 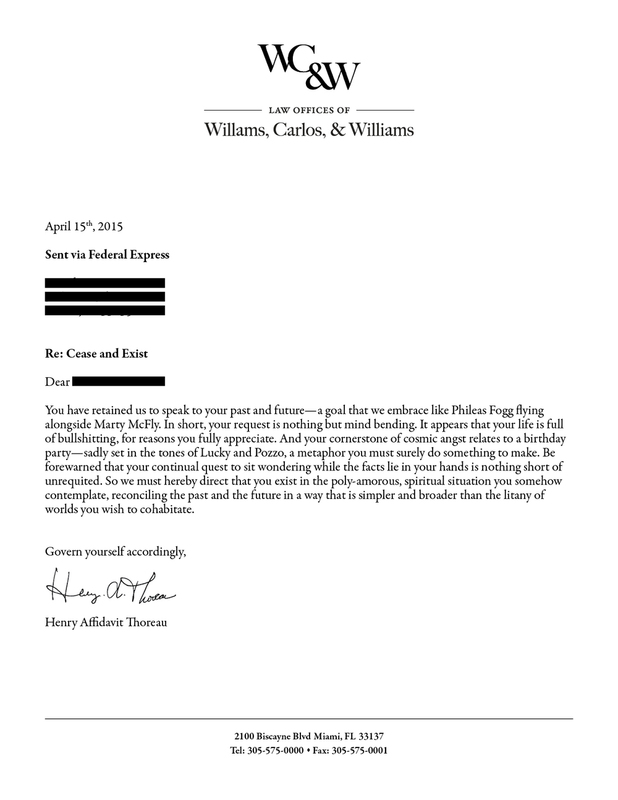 The public may also submit ideas for Cease and Exist letters to be mailed during April 2015. Do you know a co-worker putting in too much overtime and reading too little Wallace Stevens? 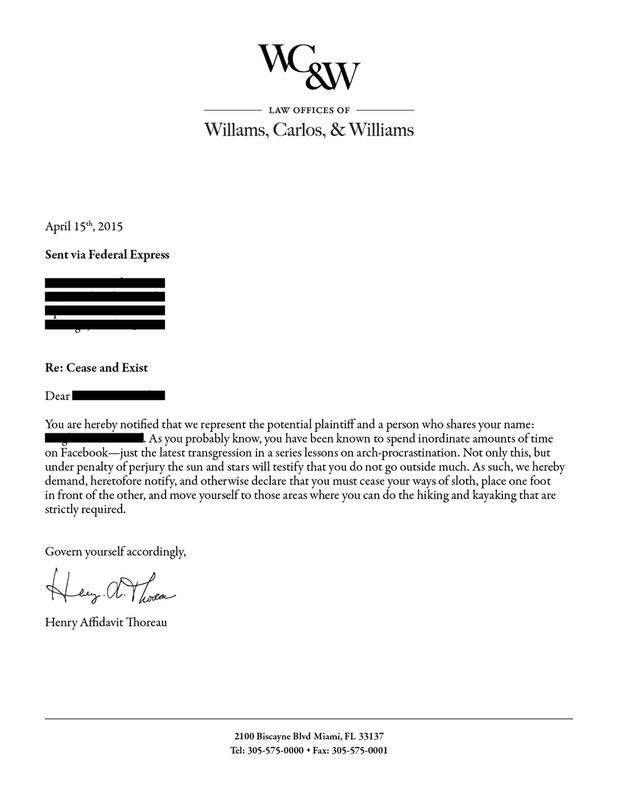 Send her a Cease and Exist letter. Is your brother putting off that backpacking trip through Patagonia? 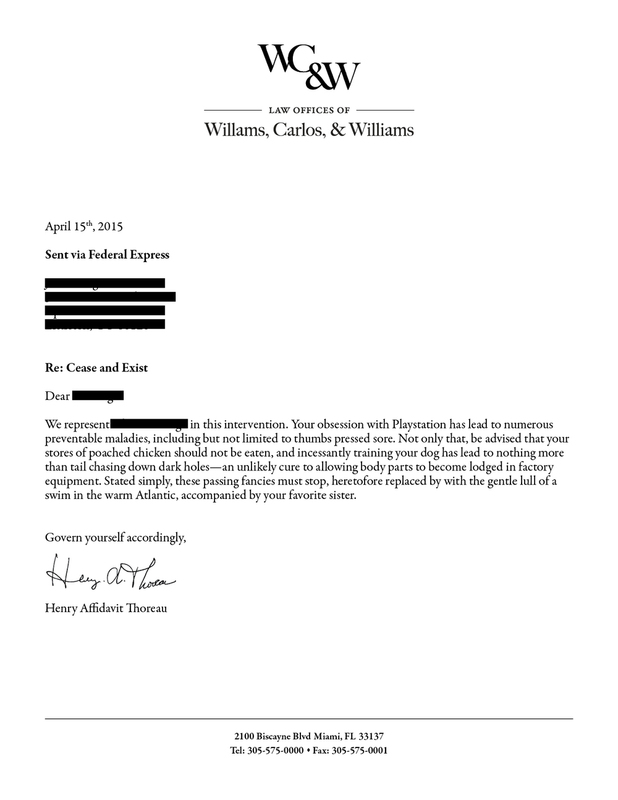 Send him a Cease and Exist letter. Know a public official de-funding an important arts program? Send him a Cease and Exist letter. How? Fill out this form and pay a small $5 donation to O, Miami for shipping and handling. 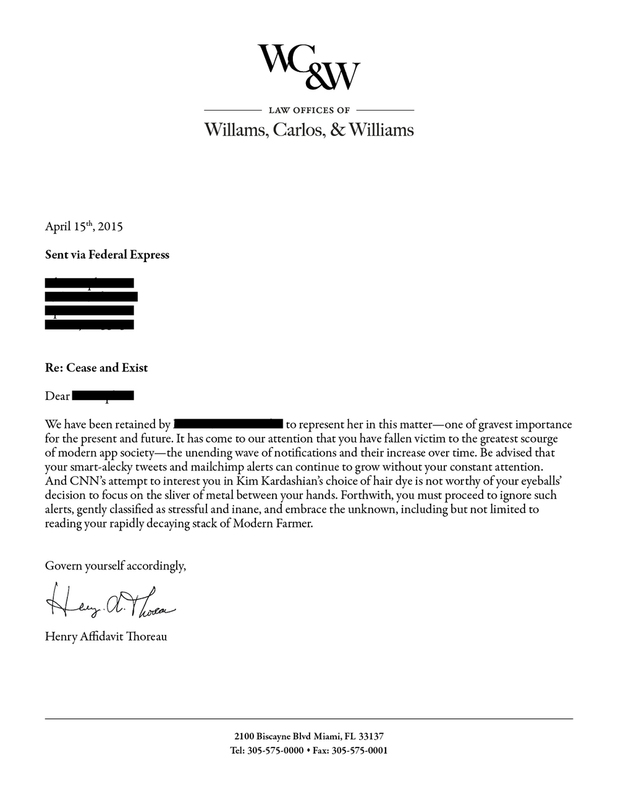 Select letters (redacted of personal information) have been posted below.